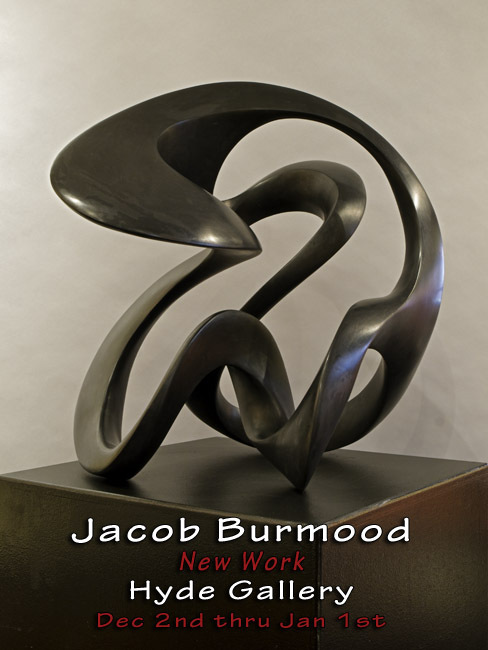 Jacob Burmood is a graduate of Missouri State University with a Bachelor of Fine Arts Degree and emphasis in sculpture. Since childhood Burmood has had a strong desire to carve and construct three-dimensional forms, which led to the pursuit of a degree in sculpture. Since graduation, the artist has continued developing these forms, as well as teaching art foundations courses at the Missouri State University. Jacob Burmood is currently in the MFA program at KU to continue his education.